Nobita is very impressed by Suneo's new pet robot, he wants to get one for himself too. He asks Doraemon for help. From Doraemon's "Spare 4-D pocket" he takes out the "Shopping from the future" and orders what he wants. Suddenly the streets are flooded with robots and they are causing commotion...... among these robots is Poco, an injured young robot who comes from another time and place. 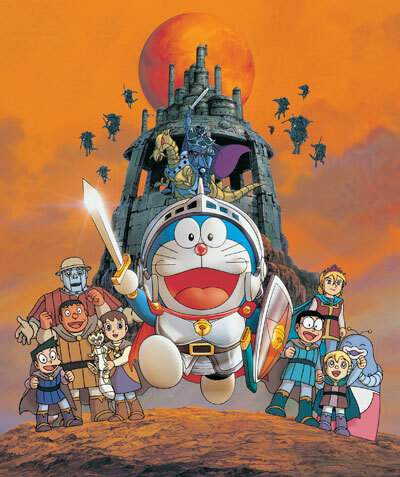 In order to help Poco, Doraemon and friends venture into the world where Poco comes from, the Robot Kingdom. 大雄看見小夫的寵物機械人而羨慕不己, 自己也想擁有一隻機械寵物。 於是, 從多啦A夢的 “後備百寶袋” 裡拿出 “未來百貨公司通訊販賣機” 喚出他想要的, 因而令到街上突然出現很多機械人, 引起大騷動…在這些機械人當中, 混入了從時空間來到的機械人少年波仔。 為了幫助受了傷的波仔, 多啦A夢他們向波仔的世界.機械人王國出發!